These promotional MopTopper pens come printed with your one color logo and include a screen cleaner device, pen, and stylus tip. Check out the cool colors on these custom logo personalized Mop Toppers! Check out their cool neckties! Wow! 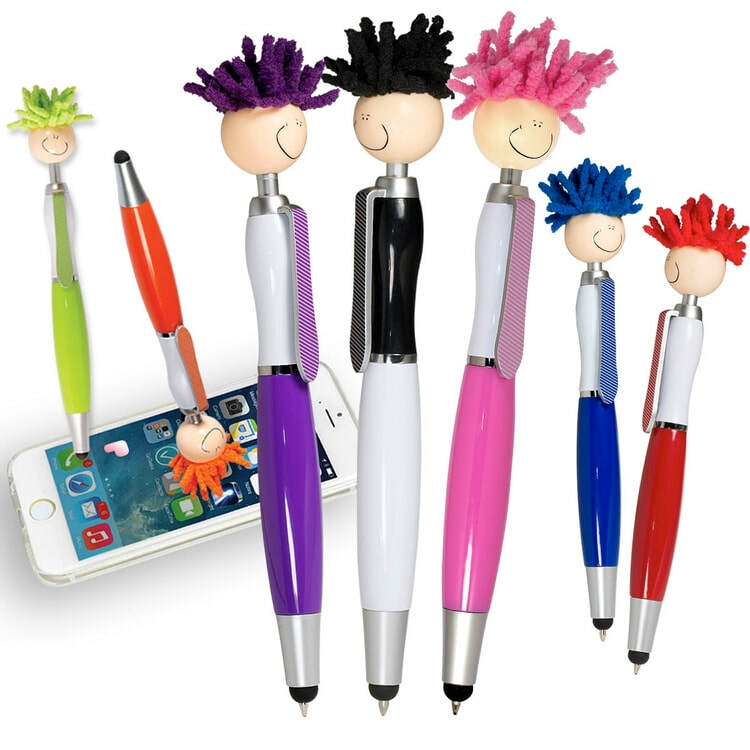 You can really have some fun at work with these great MopTopper stylus screen cleaner pens with your company's logo! Order your custom logo printed promotional MopTopper screen cleaner stylus pens today! - price includes setup, shipping, and your order will arrive with your one color logo.